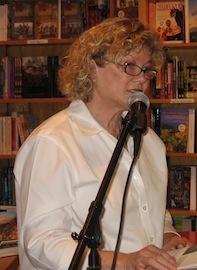 Sandra Ann Winters has received a variety of awards and commendations for her poems. “Death of Alaska” won the 2011 Gregory O’Donoghue International Poetry Competition sponsored by the Munster Literature Centre in Ireland. The editors of the North Carolina Literary Review nominated “Water Signs” for the 2011 Pushcart Prize. Sandra was a semi-finalist in the 2012 Summer Literary Seminars, Unified Literary Contest sponsored by Concordia University in Montreal, Canada. Her poem “Talking to Okra, from the son’s voice” won first place in the 2012 Carteret Writers 21st Annual Writing Contest. “My Kitchen” was a runner-up in the 2012 Randall Jarrell Poetry Competition. “Still Life” received an Honorable Mention in the 2012 Deane Ritch Lomax Poetry Competition. Her poems have been finalists in the 2011 Press 53 Open Poetry Award, and the Rita Dove Poetry Award in 2009 and 2010. “The Deaf Dog” was a finalist in the Inkwell Journal’s fourteenth annual poetry contest, 2010. Sandra’s chapbook Calving Under the Moon was published by Finishing Line Press in 2013. Her first full length poetry collection The Place Where I Left You was published by Salmon Poetry (Ireland) November 3, 2014. Sandra Ann Winters’ poems have appeared in Southword Journal (Ireland), the North Carolina Literary Review, The Shoal, the Cork Literary Review Volume XV (Ireland), the Wisconsin Review. and others. Sandra served as a professor of English and Irish literature at Guilford College in Greensboro, NC, from 1989 to her retirement in 2011. She owns a home in Millstreet, County Cork, Ireland, where she spends several weeks each year reading and writing. She has presented several workshops and readings in her adopted Irish village.